Puuba, the developer for Concursion, has been hard at work on its next game - The Weaponographist. The first gameplay trailer for The Weaponographist is out today. The game is expected to be released this summer. Swords! Machine Guns! Boomerangs... Tubas? Puuba has released the first gameplay trailer for their next game, The Weaponographist. 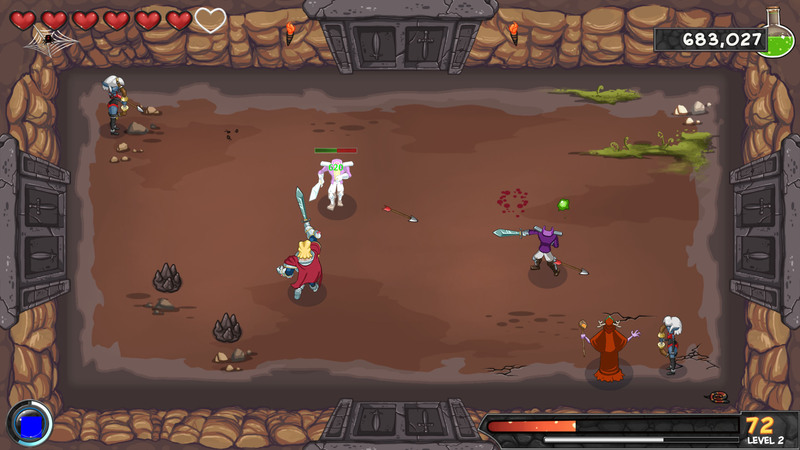 The Weaponographist is a top-down roguelike dungeon-crawler composed of randomly generated arena rooms filled with demons that the player must defeat, and weapons the player must continually replace, in order to progress. Its protagonist, Doug McGrave, has been cursed by a witch to force him to save the town of Hellside from a demon infestation. Due to the curse, if Doug isn’t slaying demons, he’s getting weaker; if he uses any one weapon too many times, it will break, and he will have to pick up a new one. The Weaponographist is currently in development, and is expected to release by Summer of 2015.